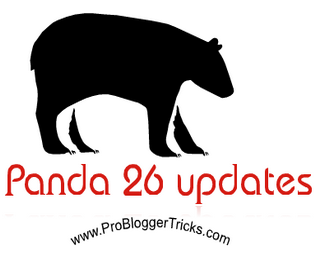 It has been confirmed from Google, that the latest new version of 26 Panda has been rolling out on 18 july 2013, many popular blogs and website are listed down in SERP which have poor contents and incoming backlinks flow from low quality blogs and directories. By taking reciprocal with 26 panda update there are out of thousands blogs and websites which has increased theirs ranking in SERP several times, in other hand we could say "panda does not only effect to destroy your blog rank but it would also help in increasing your rank well however if you have unique and produced high quality contents also by applying white SEO. This panda update has killed alot of blogs and still it is going rarely in finding to catch all the blogs generating low quality contents, building paid or low back-links and all copycats websites. 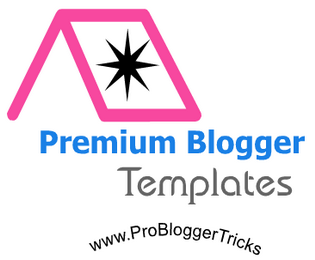 premium blogger template is releasing in the present day by every blogger and webmaster. These are very in demand in modern era where each and every blogspot user wish to apply premium template on his/her blog. So you are already familiar that we have shared alot of SEO blogger template in early days.. Previously we have shared a detailed tutorial on top 10 premium blogger template which was well appreciated and PBT get Awesome feedback. Since we see that newbies are often get in trouble when they came to choose proper template for their blogspot blog. However they are also unable and unfamiliar with all of the biggest blogger template sites, So i was thinking why not share a complete guide about top few premium blogspot templates to help newbie in right way, and save their precious time. These all themes that i am going to share with you, we have collected from different blogspot templates sites and finally created a lift of some of the pro premium blogspot template 2013, One thing i would say since from the last few days our email has full of the newbies requests to ProBloggerTricks please share with us premium free blogger template. In today post we are going to share with all the few excellent six premium blogger template for free download. We often design and decorate our blog when there is glorious occasion movements, such as Eid al-fitr, Eid ul Adha, Ramadan Mubarak and happy new year. These are all special movements when every blogger and webmasters wish to decorate and design theirs blogs by adding splendid and stylish blogger widgets and plugins in their blogs and make it designable and attractive in the eyes of visitors. 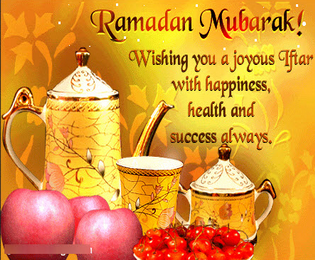 However we all know that these days Ramdan Mubarak 2013 is going on head and PBT would like to share animated Ramadan Mubarak widget for your blogger blog to make its design look religion in this blessing Holy month of Ramadan. Recently we have received dozens of emails from our loyal readers to share lovely Islamic animated widget for our blogger template. So, in This article we will share with you Stylish Islamic Ramadan widget for your blogger blog. Being a Blogger user everyone wants to promote his/her posts and mostly shared it on Facebook. Ever if you have tried sometime you might have observed that the shared post link does not show up the right image or showing irrelevant picture taking anywhere from your blog. This is one of the most common issue from Facebook pending since from several years back and still it has not been resolved. However Facebook is not much clever to pickup the right image from your post. You have to make your post understandable and add some piece of chunk code in your blogger template to tell the Facebook robot which image has to show in the Round thumbnail at Facebook wall. 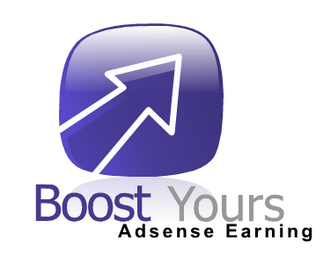 Our today recipe will all about google adsense earning. As we all know Google Adsense is a famous CPC program through which thousands and millions of Bloggers are earning money every month. However, few are complaining that their revenue is not enough yet. So this guide is for those who haven’t had any luck with the program but they still have a desire to go on with it. I will teach you how to skyrocket your Google Adsense earning by following few useful steps. Results won’t increase by some 100% but I guarantee that you will see some improvements gradually in the earning. So in today article we will show you how to increase google adsense earnings revenue by applying the below top killer strategies. Social sharing widgets play a vital role in blogospher and has become one of the tremendous factor for each blog and websites. You might have seen alot of blogs and websites holdings different styles of social sharing widgets. Likely If you take a tour of my Blog then you will find different types of social sharing gadget on different locations. Each social sharing gadget has its own task to publish posts on different social media websites. You can put your gadgets according to your blog designing and layouts. So if you are a regular PBT reader then you might be aware that in early days we have published so many Blogger Widgets and Plugins they were well appreciated and liked by Newbies bloggers. So since from the couple of days we have received so many request from our loyal readers, Asking for social sharing widgets. They have voiced to kindly shared PBT below every posts social sharing widgets with us. So in this article we will share with you the PBT All in One Social Sharing Gadgets Using Below Every Posts in Blogger. No doubt that social sharing widgets play a vital role and uses in blogosphere. These are the words everyday searched by billions of users on the internet world. You already know each single day that there,s out dozens of widgets and plugins created by top pro bloggers and webmasters. Newbies could easily bookmarked such plugins and widgets for theirs blogs and websites without hard-breath. So we have already shared so many Blogger Widgets and Plugins in our precious tutorial but today we have yet another interesting jquery social sharing widget for blogger blog. You might have seen this gadget on some popular websites. So after receiving too many requests from our readers they have voiced to share some jquery lighter gadgets for us today we finally come across to share this splendid out gadget with you. So in this article we will show you how to add jquery social sharing count widget to Blogger. This Google SEO book is world widely distributed by Top Pro Bloggers and Seo analysts. Since from the couple of days we are continuously searching for better On page SEO book to optimize blog On page structure Seo friendly. This book will little guide about the basic SEO terminologies for On page SEO. So if you are Beginner in blogging career and want to do a perfect On page technique then you do need to hire any SEO specialist. We are confident that after reading this tremendous book you will able to do On page SEO tips for you own blog. 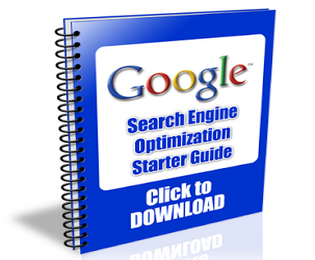 Before publishing this SEO ebook there were several splendider Search engine optimizations books released by google Team. So earlier we have shared a complete Reference Google Seo Guide which was well appreciated and today we have yet another Excellent google released Seo eBook. So in today article we will share with you the most fabulous Search Engine Optimization eBook which would to improve your blog rank in search engine result. Rounded body wrapper shows at every corner of the blog. It covers the area of the outer wrapper of a blog designing. By default there is no rounded corners styles in Blogger Templates. These all templates looks guilty and has no professional views. It show as simple floating area in every sides of the template. But now we could easily customize it by adding splendid Css3 rounded body wrap codes inside the blogger templates. By adding such styles your blog will be turned out into professional looks and will becomes more attractive in the eyes of Visitors. Moreover it will also help in resizing your blog screen resolution according to different computers monitors. So after receiving a lot of requests from our loyal readers finally they compel us to share the PBT rounded body corner with us. So be applying this excellent Css codes you will have get the splendider sides designing for your blog. So in our today post we will show you how to add Css3 Rounded Border Corner Wrap in Blogger Template. The best and Ethical way to create high quality Backlinks for your blog consist of the following blogging methods. 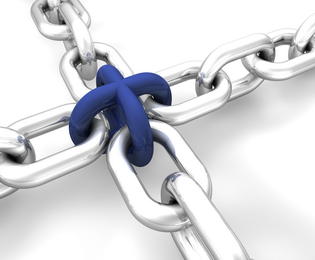 We could get dofollow backlinks from several different sources to improve our Blog SEO healths. Since every blogger know that how incoming dofollow links are important for any blogs or websites. Since we see that most of the ProBloggers creating dofollow links by doing guest posting most of them used there blog links in shared templates while many of us using forums to create high-quality backlinks for blog. To get links and juice from High PR forums or blog it is very very important for your blog to get genuine & high quality backlinks. SO If you could continuously using such high PR blog or forums then there is no doubt to have high PR rank for blog and also help in flowing the targeted traffics to your blog. So in today article we will show you all the best and top dofollow backlinks forums to Increase back-links ultimately and get high PR juice for Blog. Mubarak to all Muslims the glory day "Ramadan Kareem 2013". Ramadan is the last superior and ninth month of the Islamic calender coming from such a long time. Muslims keep theirs fast in this blessing month. Ramazan is one of the five pillar of Islam, which is fardh on every adult Muslim to keep fast in this blessing and forgiveness month. A month of joyous and happiness. The word (Ramadan) is derived first time from the Arabic root of ar-ramad, or ramida. Today is the 11th july where each and every Muslims keep and have had the first Fast in many Islamic countries. All the Muslim in Pakistan and India have hold the first Fast today. So in our today post we will discussed and shared some amazing Ramadan Kareem Mubarak 2013 with all my dearest friends. Hi buddies today we will gift you some of the amazing best created fireworks effects widget for your blogger blog. This widgets is mostly used world widely and distributed when there is coming happy new year or celebrating day. In the same day every blogger and webmaster trying to decorate theirs blog and website by adding different types of fireworks in blog. Different bloggers created different colors of animated fires effects for theirs blogging home. So i was thinking why not share a beautiful fireworks gadget which producing sparking in the eyes of visitors. It will attract visitors and they would stay for a long time to joy the flying sparking. This gadget will dressed your blog or website awesomely. before this we have shared bundle of Blogger Widgets and Plugins for blogger users. 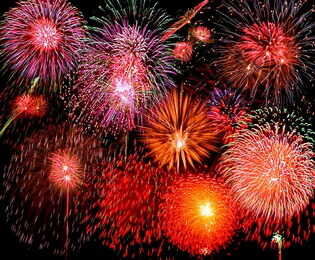 So in this article we will show you how to add animated jquery fireworks widget in blogger blog. Scheduling the posts is one of the best and prominent feature included by blogger official in blogger platform. This additional features was included in the new interface of blogger in 2013. Now all bloggers user can easily posts theirs article at specific time by setup the schedule timing for post publishing. We have seen alot of Pro Bloggers which they follow the schedule timing for publishing the posts and articles. So being a blogger user we should know all the Blogger Tips And Tricks inside blogger platform. However i was also unaware of this splendid scheduling function which could help bloggers to publish posts automatically. Now you could also make a timetable for auto publishing the posts on the specific timing in a day. 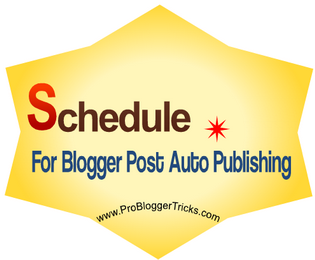 To get rid of manual posting just follow this tutorial, which would guide you how to schedule blog posts for auto posting in blogger blog. In our previous posts we have discussed some of the basic tips and tricks about how to optimize images for search engines. Today we will talk about the basic requirements which are the hardest and needy factors for optimize seo images. Giving proper alt and title attributes to images inside the posts will surely rank high in SERP. These two tags play a vital role in SEO images optimization. By adding high targeted keywords inside the title and alt tag make the image more understandable for robots. Robot will easily find out these images in search results and doing so these images will get fast indexing. Now blogger has builten function for title and alt tag which allow us to add high targeted keywords inside these two tags. 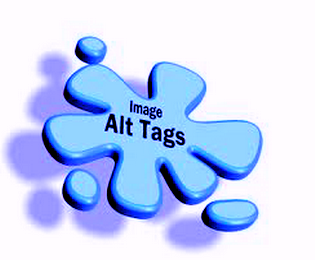 So our today post will guide you step by step how to add title and alt attribute to optimize images for SEO. In early days we had shared a lot of blogger widgets and plugins for blogger user. 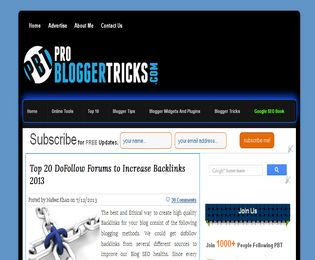 PBT have been provided many awesome gadget and plugins for new bloggers and webmasters. Today we have yet one another interesting wordpress like subscription email widget for blogger users to get ultimately followers by adding this tremendous gadget in theirs blog and websites. This is one of the best and eye-catchy email subscriber gadget created by ProBloggers. If someone worried about subscribers then do not do any special just add this gadget in blog and see the difference in short time. We already know that email subscription box is the backbone of a blog by which we could easily get direct traffics even if our blog post is not rank well in search engine. So it is better to have a prominent subscription widget for blog. So in this article will guide about the wordpress like subscription widget for blogger. Google alert Api tool gives multiple opportunity to bloggers to help them in finding latest breaking news about specific niche topics. 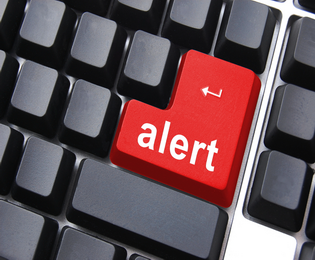 We can setup alert for special high targeted keywords relevant to our blog niche. Now whenever somethings happen or any person write tutorial on that particular selected keyword then we could be easily notified by email. We have already been discussed that what is google alert and what is uses in daily life. In our previous tutorials we have written a complete article on google alert api tool in which we have shown that how to use google alert to find who is talking about our blog. So google alert tool give one another chance to bloggers to find your selected niches updates whenever somethings happen on the web on that particular keyword. So in today post we will show you how to use google alert to get latest niches news for Post Ideas. Today we will provides some of the best top high paying alternatives to google adsense. We already know that google is among the top ppc program throughout the world holding billions of advertisers. We clearly see that there are many ppc programs out there for advertiser and publishers but the biggest issue is that some of these alternative to adsense paying very little amount that you cannot earn decent amount from them. while most of them pay high but there is lees chance to approve blog or website for these advertising programs. Now you could easily monetize your blog through different pay per click programs. Different CPC programs have different criteria to approve blog or website. You could easily get approved by one the top google alternative programs if your blog receive decent amounts of traffics. So in this post we will focused on "Alternative To Adsense" and what is theirs criteria for approving blog. 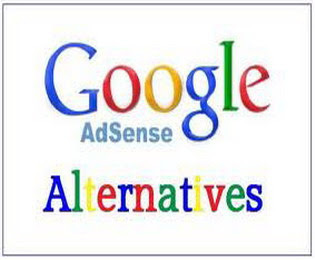 So in this article will show you the best and Top google adsnese alternative 2013. Page Navigation widget is the need of every blogger template. we see that different blogger templates have different styles of page numbering navigation bar. It commonly appeared below in all posts on the home page of a blog. This widget helps in jumping to previous posts of a blog or turning to newer posts by single click. However you might have noticed that some professional blogger using numbering pagination widget along with newer post and older post button. This will only turn our blog design to professional looks but it will also helps to jump easily from page 1 to page 5 by single click. Previous day we have received several comments from our reader they want to know is there any way to add customize pagination widget with numbers along with the older post and newer post buttons. So to make them happy with best answer i was thinking why not to share a complete tutorial on adding customize numbering widget to blogger. So, in this article we will show you how to add number page navigation widget in blogger blogspot. 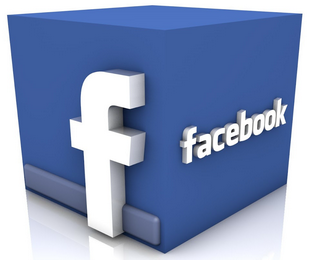 We have shared a lot of tutorial on Facebook widgets and plugins in previous days. few days back i have shared a scrolling like Facebook social sharing widget which was well appreciated by PBT readers. Today we have yet one another best Facebook plugin activity widget which will show all the latest stories of our blog which are recommended by our loyal readers. This Facebook activity widget will appear on the right side of a blog along with all recent activities. By using Facebook activity plugins it would be dramatically increase our posts page views several times & it will also enhance our blog readership. The biggest advantage of using this gadget will show all the latest recommended post on our blog. So in this tutorial, we will guide you how to add Facebook activity feed plugin widget to blogger blog. Customize Label Widget brings more beauty in blogger blog. It will make our blog more attractive and designable. We know that by default blogger cloud label widget looked ugly and unprofessional however, if we add some piece of code to style sheet then it could become an eye-catcher for readers & make our blog design lovely. This widget is mostly appeared at the right side of the blog which consist of several labels. Today we will present an awesome blue color cloud label widget which we have personally implemented on PBT. Since from a long time we have received budles of email from reader to share the PBT labels widget with us. So in today article we will share with you customized label widget for blogger.